Donne Biryani is very famous in Bangalore.”Donne” means big sized cups /bowls made from areca nut palm leaf . These are eco friendly disposable plates and cups. As Biryani will be served on these plates/bowls it is popularly known as “Donne Biryani”.Unlike authentic Biryani, this biryani is not layered nor cooked in dum.This is very similar to preparing any Pulao but its cooked with mutton/chicken stock. In Bangalore there is a restaurant which is very famous for Donne Biryani and its known as “Banashankari Donne Biryani” .As the restaurant is very small and crowded all time ,I never got a chance to visit there ,but once it happened so that one of my cousin parceled Donne Biryani and brought for me to taste at home and asked me to recreate the same.After tasting each grain of that biryani I came up with my own recipe by making some kind of fusion with pulao and biryani .And I named it as Banashankari Donne Biryani and served to GP and cousins,all they said was it was better than “Banashankari Donne Biryani” and relished the taste! Similar kind of Biryani on my blog , prepared with jeera rice is Ambur Star Biryani , which is hot and spicy . Also there is a Biryani Masala Powder recipe which i have already shared , which can be used to prepare chicken pulao or any kind of Veg Dum Biryani or Chicken or Mutton Dum Biryani . Pulao Style Biryani served in Areca nut palm leaves plates ,gets the name "Donne"
Wash and clean chicken.drain water completely . Marinate with all the ingredients listed under marination for minimum 30 minutes ,preferably keep in refrigerator. In a pan,heat 1 Tbsp of oil and ghee ,add all the whole spices listed under masala paste and fry well ,till you get aroma of the spices. Add roughly chopped onions,ginger ,garlic and fry well till raw smell goes off. Add green chillies.fry well. Finally add mint and coriander leaves mix well and turn off the heat. Allow it to cool,Once it cools down grind it to a fine paste without adding water. In a pressure cooker,add 1 Tsp of oil and marinated chicken . Cook for 5 minutes,once chicken starts changing the colour and juices starts to release,add 4 cups of water and pressure cook for a whistle. Once pressure releases,separate chicken pieces and stock. Wash and soak jeera/seeragam rice for 10-15 minutes,drain water and keep it aside. In a thick bottom pan, heat ghee ,oil add bay leaf,cinnamon,cardamom,cloves , star anise and fry well till spices leaves aroma to oil. Add above ground masala paste and fry for 2-3 minutes. Add cooked chicken pieces to green masala paste and fry well. For this add rice and mix well. Now add chicken stock to rice ,mix well . Add salt,lemon juice and Kasuri methi ,mix well close tight lid and cook till done. Serve hot with raita,boiled eggs ,onion rings and lemon wedges. More hours you marinate chicken/mutton ,more flavorful it will be. If you are adding lemon juice while cooking add only to hot water. If you add to cold water it turns bitter after cooking. Jerra rice is preferable over basmati rice for this type of Donne Biryani. Salt required should be approximately 4 Tsp inclusive of marination,chicken stock and for rice. 1.Marinate Mutton / Chicken with all the ingredients listed under “Marination” for minimum 30 minutes,keep in refrigerator preferably. 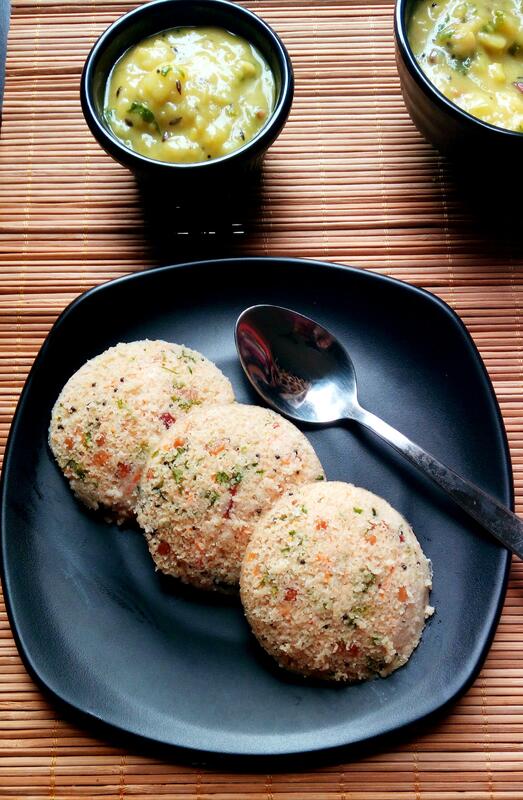 2.Soak jeera rice /samba rice for 15 minutes ,drain water and set aside. 3.Whilst in a nonstick pan ,add oil ,ghee and fry all the spices listed under ” grinding”.Add ginger paste ,garlic paste ,onions fry till raw smell vanishes. 4.Add green chilies and fry well.Finally add Mint and Coriander leaves saute for a minute .Allow it to cool. 5.Meanwhile, in a pressure Cooker,add 1 Tsp of oil ,add marinated mutton/chicken saute for a minute and cook for 10 minutes,add 3 cups of water,1 Tsp salt and pressure cook for 1 whistle for chicken and 2 whistles for Mutton. 6.Once pressure is released ,separate chicken/mutton and stock. 7.By now ,masala would have cooled ,grind it to a fine paste . (Don’t Add water for grinding). 8.Take a thick bottom pan/handi .Heat oil ,ghee add bay leaf,cloves,cinnamon,black Cardamom,green cardamom once aroma comes add grounded paste saute for 2 minutes. Add cooked chicken/mutton pieces mix well and cook for a minute.Add drained jeera rice . Mix jeera rice with chicken/mutton pieces and cook for 3 minutes.Finally add seperated mutton/chicken stock. Once it starts to boil,add kasoori methi ,salt to taste and lemon juice.Close lid and cook till done. Serve hot with boiled eggs,onion rings and lemon wedges. Seems simple enough to make… Will prepare it sometime. Thanks for the recipe! You are Welcome.Yeah,its simple and tastes really good especially because of stone flower. I messed it a little bit, however it came out very well! 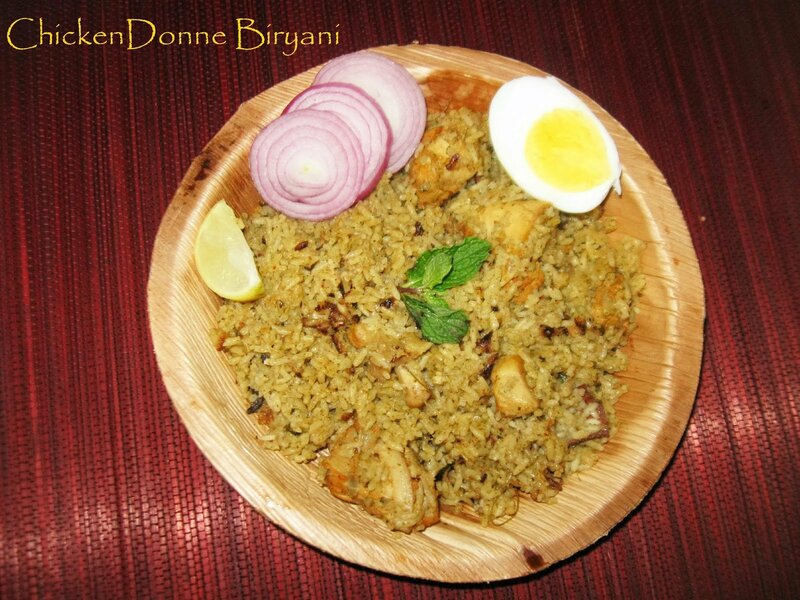 This is the best Donne Biriyani recipe online I think. Thanks Rahul. 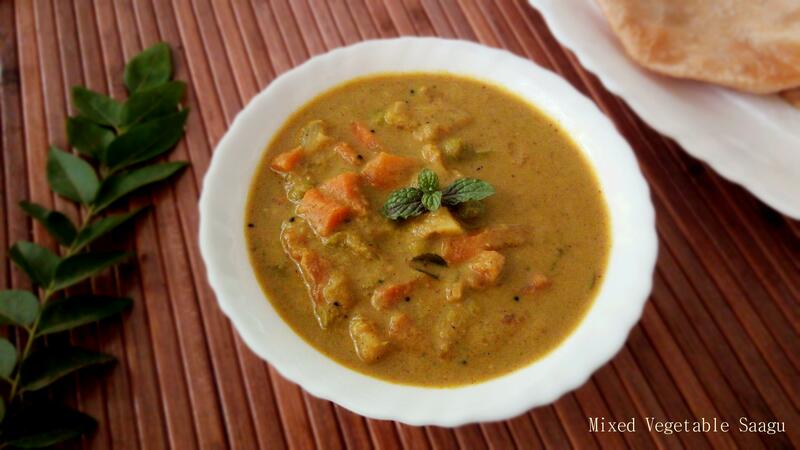 It’s a very easy recipe ,quite popular in Bangalore.